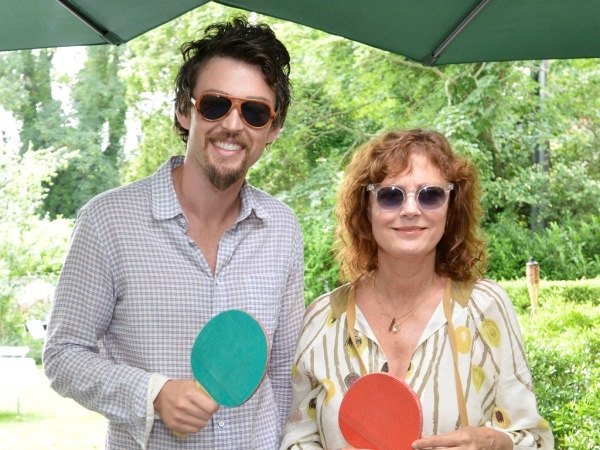 Susan Sarandon has reportedly split from boyfriend Jonathan Bricklin. The 68-year-old actress began dating the 37-year-old businessman five years ago, but apparently their romance has now come to an end. It’s claimed the relationship went sour after the couple agreed to film Morgan Spurlock’s reality series Connected together. “It caused a lot of strain in the relationship,” a source told Page Six. Connected is a programme that centres on six couples who were given a camera to document their lives in New York City. And as they grew closer to the close of their six-month self-shooting schedule, it’s believed Susan reached a boiling point. The first episode of Connected broadcasts on March 31 and according to the outlet, Susan is listed as Jonathan’s girlfriend in the press release. But it’s unknown currently whether the Academy Award-winning actress will reunite with Jonathan by the time Connected airs a few weeks from now. “As of now, they’re working on things,” the source said. Susan has previously spoken to British magazine Hello! about her go-with-the-flow approach to love matters. "I've learned that you can't protect yourself, you can't plan anything, you can't ever have a definite expectation of how it is going to unfold and the most productive thing you can do about any of it is to surrender yourself to how it all unfolds," she told the publication. Susan split from long-term partner Tim Robbins in 2009, decades after they began dating in 1988. Soon after her breakup with Tim, she met Jonathan on a trip to Chile. Although it’s claimed they are now ex-lovers, Susan and Jonathan still co-own hit New York City ping pong nightspot, SPiN.